Is it known what kinds of numbers the Emce Treks were produced in? I read recently that it was 5,000, but I'm hardly the right person to confirm such a a thing. I'd like to know the production run, perhaps DM will chime in. I can tell you that, ten years or so after their release, my local comics & collectibles shop still has most of these available--at prices adjusted for "the market" of course. I was not complaining about them being lower in price/value. I'm so excited that I was able to finally re-buy these figures at a affordable price. 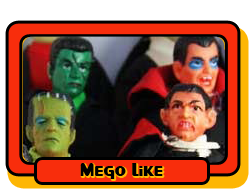 And getting the NEW Mego figures as well. This year has been great for me. I'm just wondering is this a trend? Or did I just get lucky?? Is it time to go for the FANTASTIC FOUR??? I missed about five of the EMCEs, so this may be the time to finally catch up and complete the line. I scored an Andorian for $20 over the weekend. 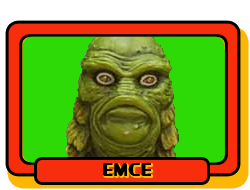 Where do you guys order your EMCE figures from? I'd quite like to get a Lt. Uhura, but Amazon wants an exorbitant price for it. They're about ten years old--I'd try ebay or a comics shop for old stock.